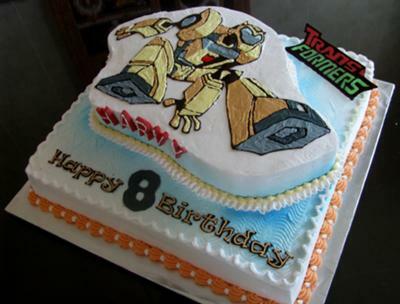 This bumble bee transformer cake is made for a 8 years old boy who is a big fan of bumblebee. The frosting if whipping cream and I used chocolate to transfer the design onto the cake. Could you tell me where you found the image? this is amazing!!! i love it! great job!